There aren’t too many offices with a cooler roof than the one I’ve spent the last three and a bit weeks working in. 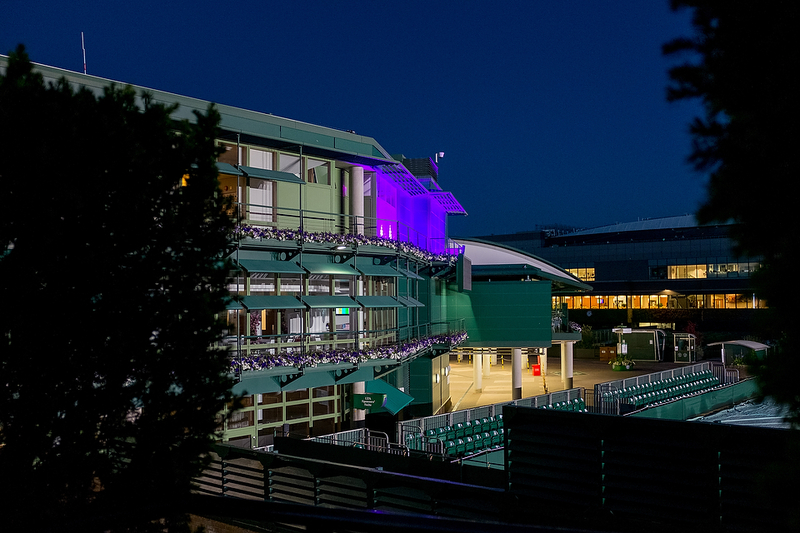 The brilliant new Photographers’ Workroom at the All England Lawn Tennis Club is directly under courts 14 and 15 and having world class tennis being played on the office roof isn’t an every day boast! 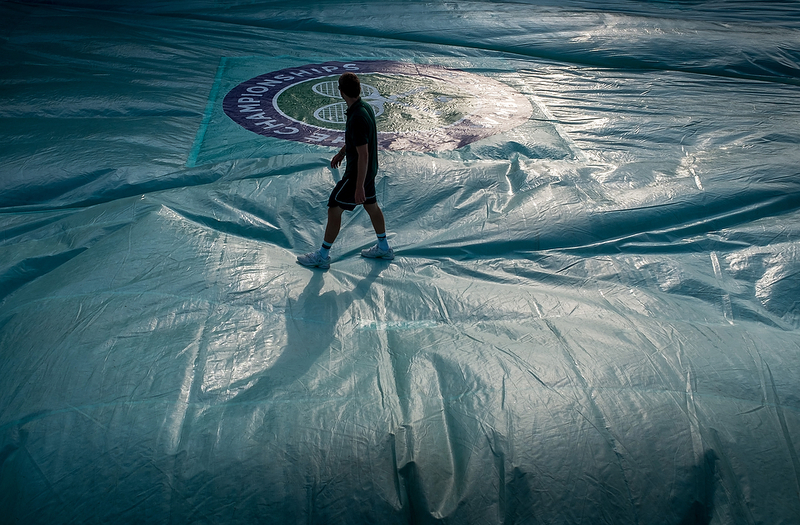 For the second year running I have had a contract to work as a Picture Editor for the AELTC and I can honestly say that it is an exciting, exhausting, fulfilling, frustrating, full-time and full-on twenty three days. 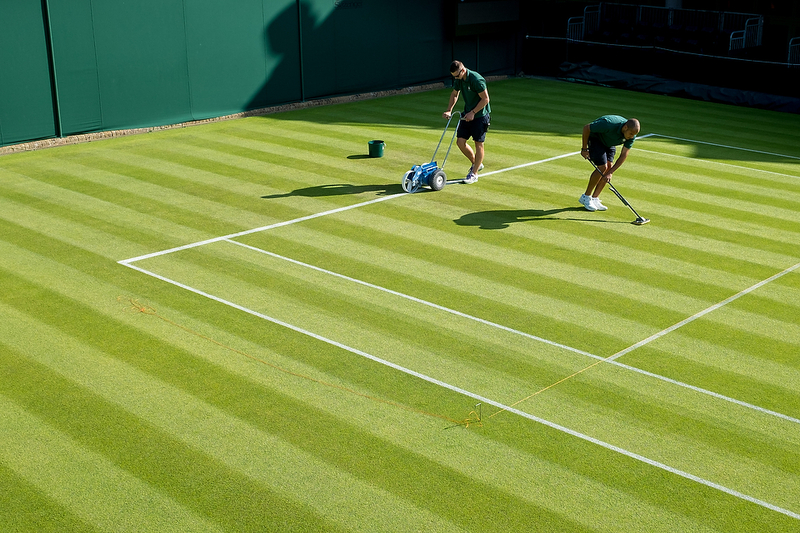 I get to work early in the morning just as the Ground Staff are starting to get the courts ready for action and I leave as they are putting most of them back to bed for the night. In that time thousands of top class photographs cross my screen and I have hundreds of conversations with our photographers and the dozens of other professionals with whom we work. What I don’t get to do much of is take pictures. A few snatched frames on my Fujifilm X100S on my way in and my way home and some candid shots of the team in the office are my only chances to use a camera. I walk past the back of No1. 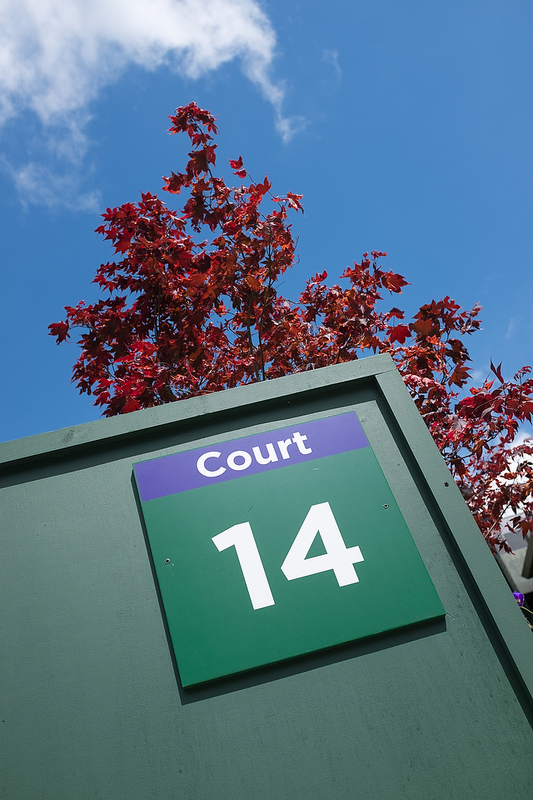 Court, between Courts 18 and 19 and then disappear under Court 14 on my way in from the car park and then do it all in reverse on my way home again which is why Court 19 features so strongly in this small selection that I’m posting today. I’d like to say thank you to the great team with whom I have been working. As a freelance photographer you spend a big part of your working life as a solo operator and it is fascinating and genuinely great fun to be part of something large scale every once-in-a-while. 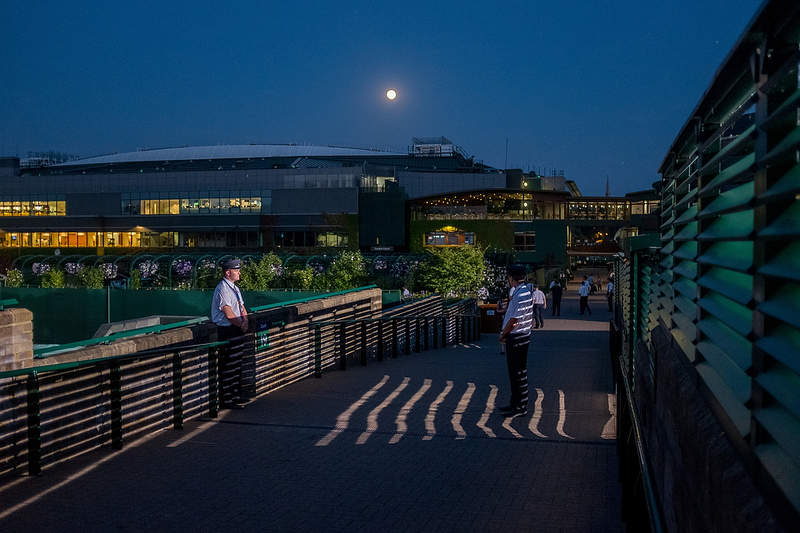 If you’d like to have a look at a tiny fraction of the work done by the AELTC Photo team have a look at the Wimbledon website.